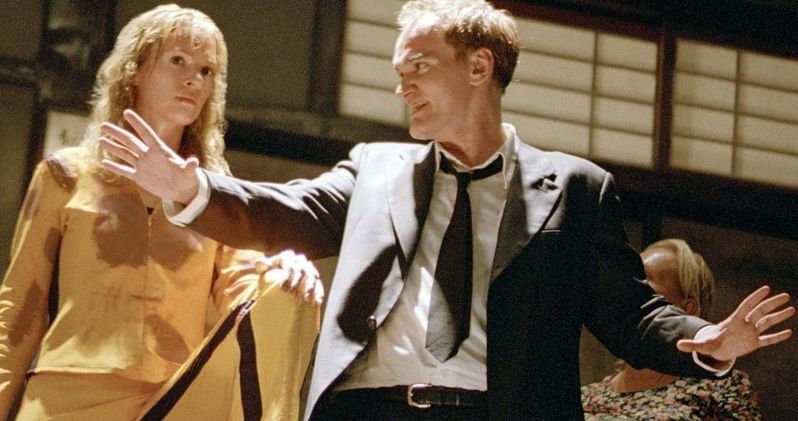 Director Tara Wood has successfully reclaimed the rights to the authorized Quentin Tarantino documentary feature21 Years: Quentin Tarantino. The film, a celebration of Tarantino's works-to-date, looks at the passion behind the worldwide box office dominator. The lightening rod that is Tarantino's career illuminates the discussion of changes in the industry. In 2017, Wood, co-director of 2014's acclaimed 21 Years: Richard Linklater, asked The Weinstein Co. to release the documentary following the onslaught of sexual harassment allegations against company founder Harvey Weinstein. "TWC should respectfully release us from our deal," Wood said in a statement at the time, "To allow the project to be handled with the care and consideration it, Mr. Quentin Tarantino, and all the participants deserve." The company refused, and Wood embarked on a prolonged legal battle. Now, Wood is proud to announce that the film has returned to the creative team at Wood Entertainment, and is ready to find the right home for distribution. Said Wood last week. "We are thrilled, and eager to conduct our final interviews and complete the documentary, free from Harvey Weinstein and his complicit cohorts. We look forward to finding a new distribution partner, timed with the July 2019 release of Quentin's next film, Once Upon a Time in Hollywood." "This project has always been in honor of Mr. Tarantino's career, and as a woman, creator and protector of that vision, I am grateful to have it back in caring, respectful hands." Quentin Tarantino's career is unmatched in its wellspring of talent and the diversity of subjects in his eight films to date. In the trendsetting Reservoir Dogs and the ground-breaking Pulp Fiction, Tarantino revolutionized the status quo. He reworked genre and celebrated badass women in films like Jackie Brown, Kill Bill and the gasoline-charged Death Proof. He took on issues of race in America in Django Unchained and boldly rewrote history in Inglorious Bastards, leaving us snowbound in the ultimate "who done it" murder mystery, The Hateful Eight. His films reap as much controversy as they do accolades. The documentary coincides with the end of an era - the collaboration of Tarantino with the now disgraced Harvey Weinstein. Longtime staple Tarantino collaborators speak to the essence of his passion and the success of his career: Michael Madsen, Samuel L. Jackson, Tim Roth, Christoph Waltz, Jennifer Jason Leigh, Jamie Foxx, Eli Roth, Zoë Bell, Robert Forster, Diane Kruger, Kurt Russell, Louis Black, Richard Gladstein, Scott Speigel, and Stacey Sher. This news comes direct from Wood Entertainment.